Spring is starting to announce itself with drifts of snowdrops, crocuses and daffodils in our gardens, hedges and roadside verges…and what a pretty sight these blooms are! 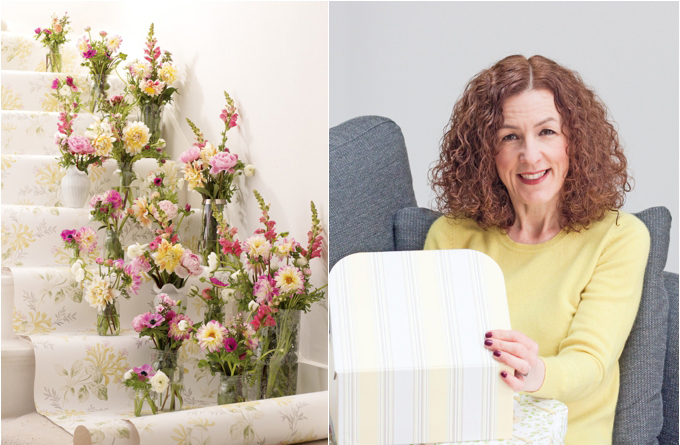 At Laura Ashley, to herald the start of this new season, they’ve launched a wonderful floral-inspired collection called Flower Marquee. 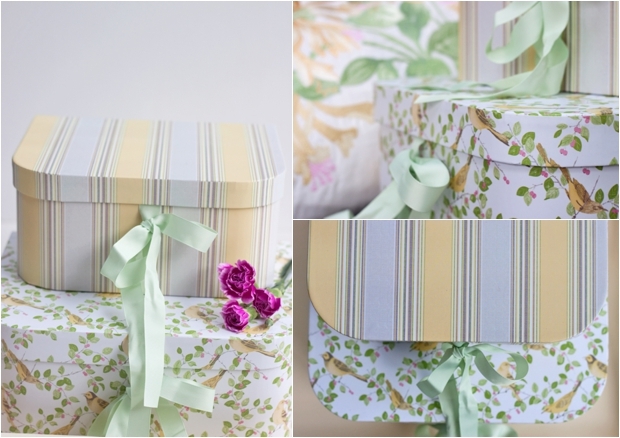 And today I’m delighted to share with you my favourite picks from the range. Made in the shape of an unfurling rose is this tealight candle holder below, which would make a great gift for friends and family, as would the hurricane style candle holder with its cut-out butterfly design. 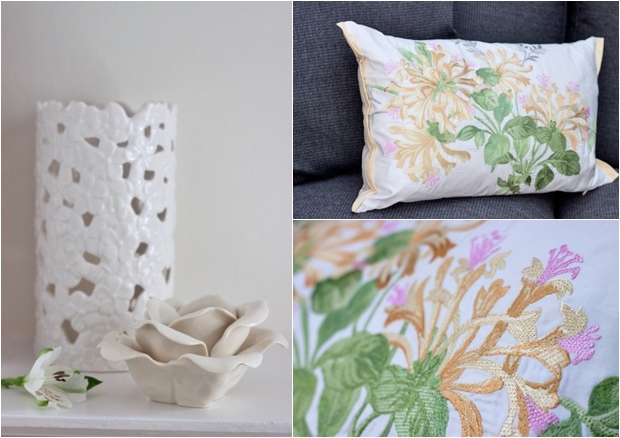 And to add a subtle splash of colour to your sofa is this beautiful cushion, embroidered with an intricate honeysuckle design. 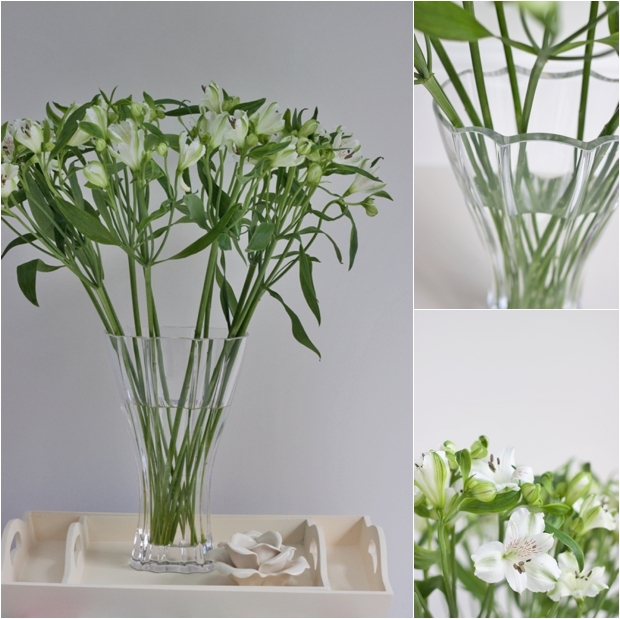 I love this striking, fan shaped glass vase… ideal for setting off tall-stemmed flowers, like these dainty alstroemeria. And aren’t the wooden trays lovely too? I couldn’t resist sharing this breath-taking floral image with you. It appears in the new Laura Ashley Spring/Summer 2014 catalogue. You could create a similar look in your own home. Simply bring some spring flowers inside from your garden, like narcissi, daffodils and muscari, or visit your local florist for a few stems. 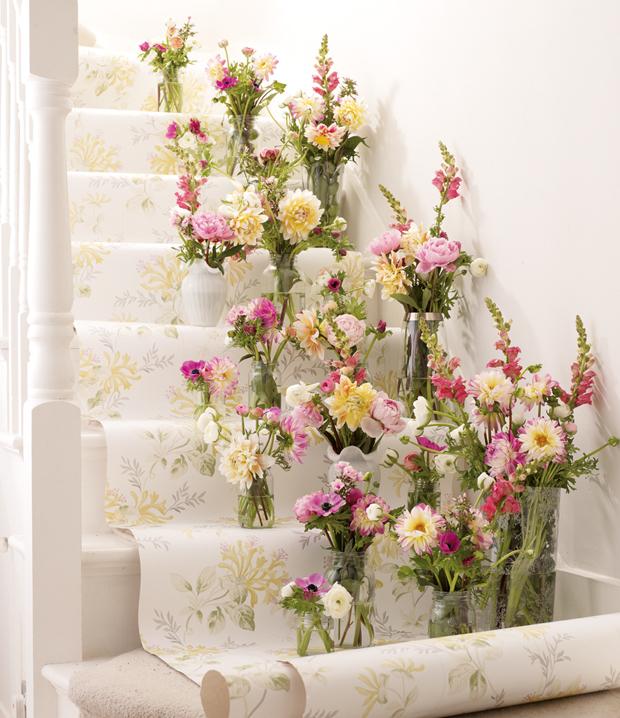 Perhaps arrange the vases and jam jars down the centre of your dining table though, rather than on your stairs! Now that the weather is starting to get milder and the days longer, you may like to visit some gardens this weekend? For example, Kew Gardens and Batsford Arboretum for their spring bulb displays or Chiswick House & Gardens for their Camellia Festival. Don’t forget too that the RHS Flower Show Cardiff is celebrating its 10th Anniversary next month.